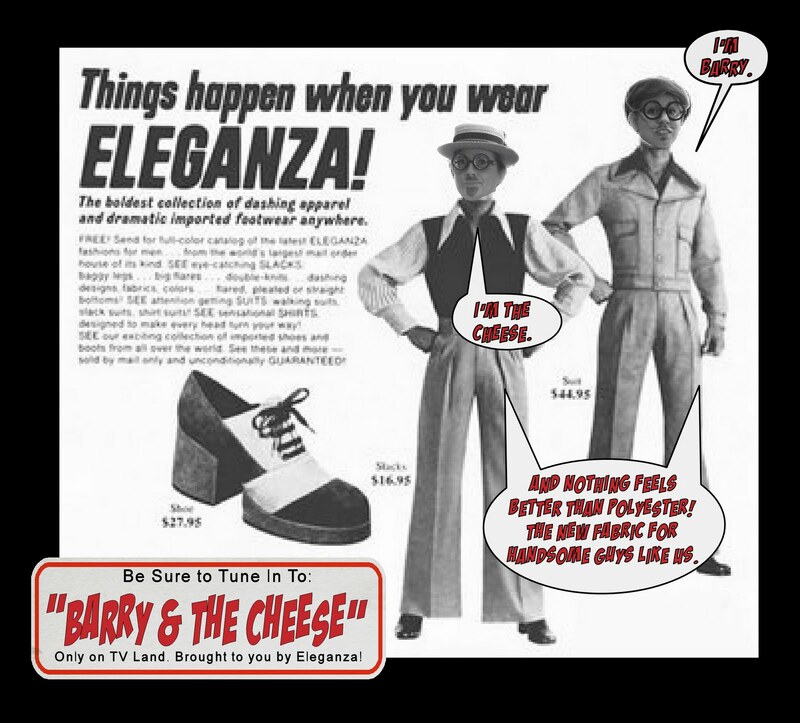 Life and Art with Glamma Fabulous: Meet "Barry and the Cheese"! Meet "Barry and the Cheese"! Meet "Barry and the Cheese". I am proud to sponsor this delightfully funny team as they make their comeback to YouTube and in Print ads! Tune in to see hilarious antics and wild slapstick that will tickle your funny bones. 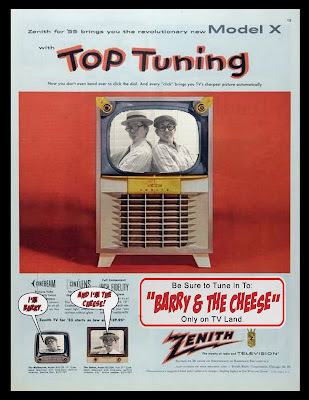 "Barry and the Cheese" can be seen about town wearing their signature round glasses and hats. Sometimes at special events, they will dawn comfortable polyester suits and fashionable slacks. 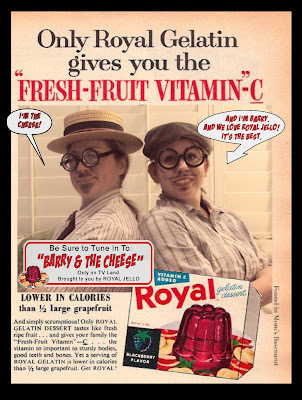 "Barry and the Cheese" just LOVE all types of Jello products and are equally fond of Spam. Thank you "Barry and the Cheese", I wait with bated breath and anticipation ! oh my gosh, I am literally laughing out loud! 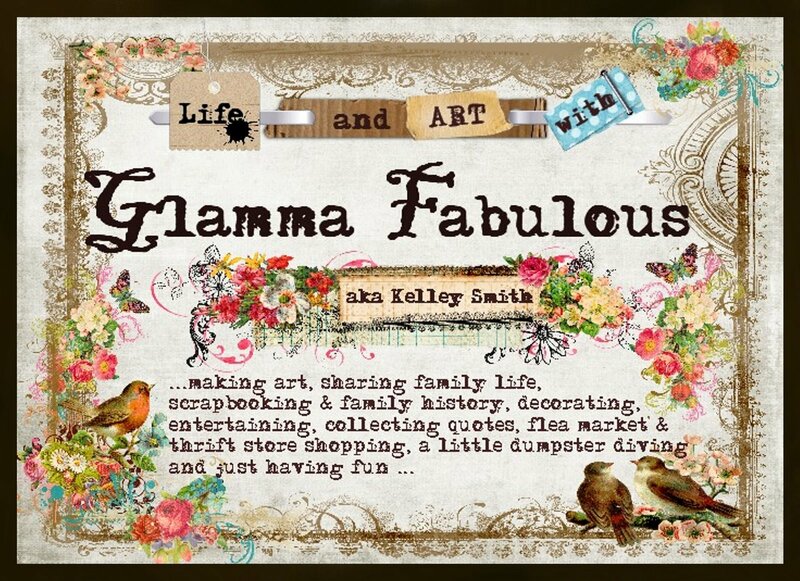 Artist, Wife and Mother of 5 very creative daughters and their husbands, Glamma of 18 Fabulous Glamchildren. I love creating all kinds of art and making life for me and my family and friends fun amid the chaos. 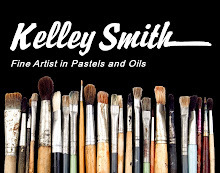 I have been represented by numerous local galleries and on the boards of several art associations throughout the years. Make a photobook - it's easy! Make a slideshow - it's easy! 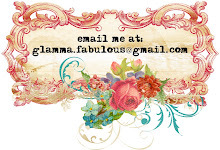 Gina Cabrera "My Funky Studio" & "Shabby Shack"
Rhonna Farrer "Urban Junque Borders & Journalers"